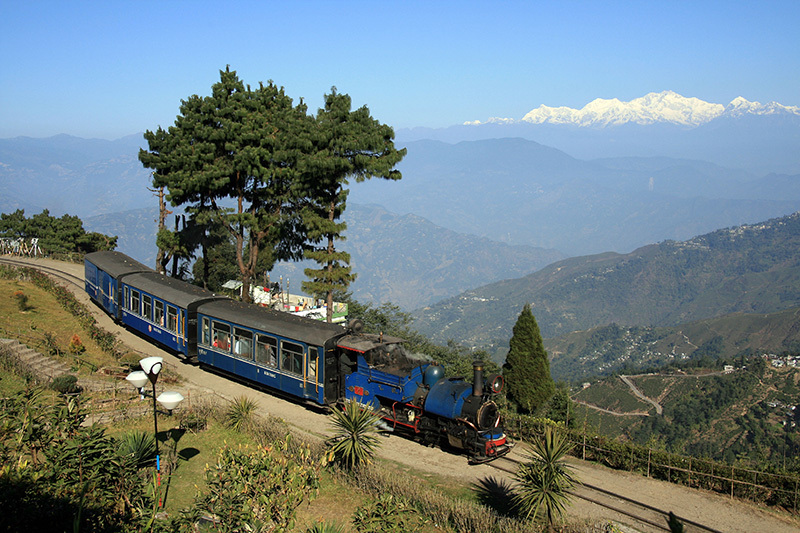 The Darjeeling Himalayan Railway (DHR) connects the plains of West Bengal at New Jalpaiguri with the hill station of Darjeeling. 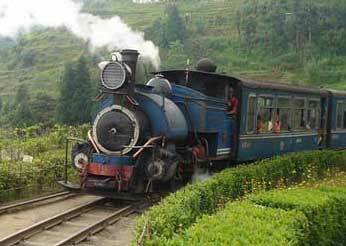 On the way, it passes the most breathtaking scenery and climbs to a height of 7400 feet at Ghum (the highest station in India and the second highest in the world), from where glimpses of the magnificent Mt. Kanchenjunga are visible on clear days. 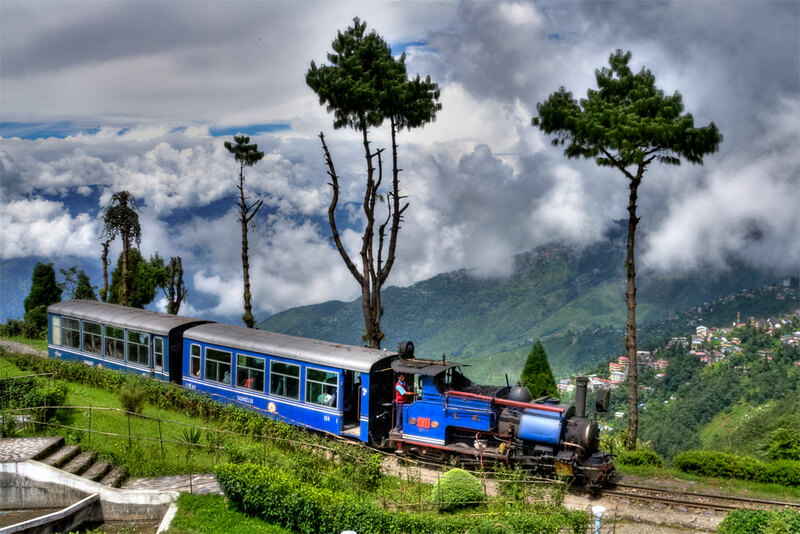 Fine views are afforded of the valley below, the Bhutan Range to the east, and the adjacent hills and valleys. its like an experience of a lifetime.